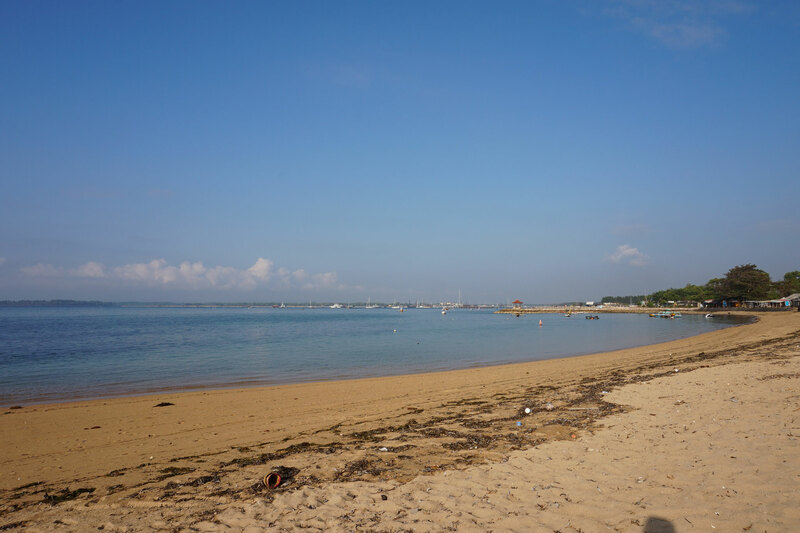 Sanur, Bali: 14 things to do in Sanur! Are you visiting Sanur, Bali and looking for things to do while there? We’ll make your life a little easier by providing you with the 14 best things to do in Sanur, a super-chilled out beach town! From breakfast options, info on the local night market, watersports activities and the best way to spend your evenings in Sanur! Read on and get inspired for your next trip. 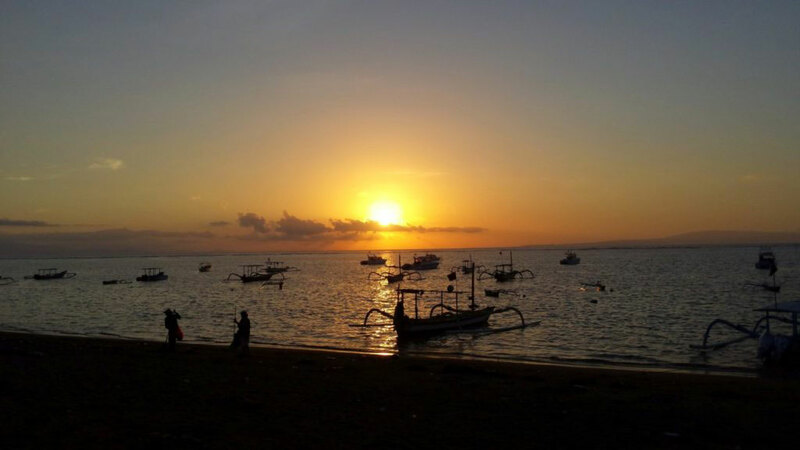 For the early birds: start your day off with Sanur’s beautiful sunrise. In Sanur, you’ll be able to watch the sunrise with a view of the Agung volcano and the island Lembongan if the weather is clear. Just head down to the promenade along the waterfront and admire the beauty of nature while Sanur is slowly waking up. Sanur is the perfect spot to watch the sunrise in Bali. After you’ve enjoyed a stunning sunrise it’s time for a tasty and filling breakfast. 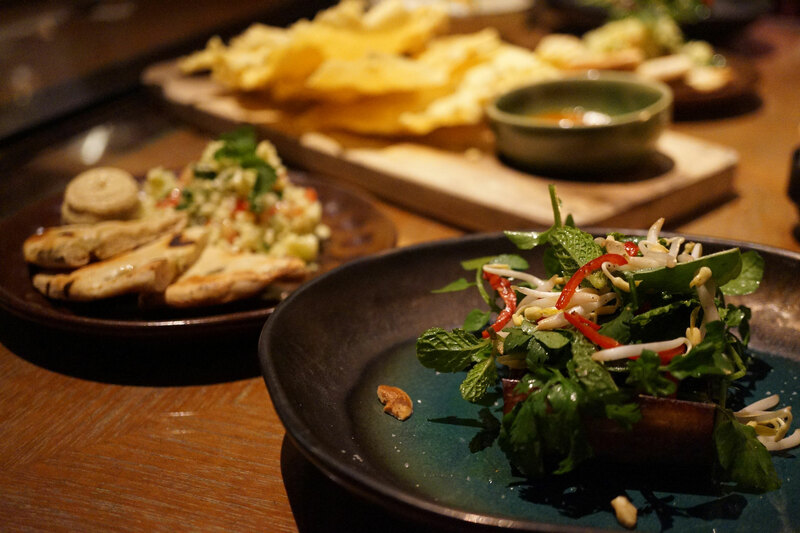 Bali is known for its rich cuisine, and when people talk about the food they’ll often refer to the different dinner options. However, Bali is a Walhalla for breakfast too! 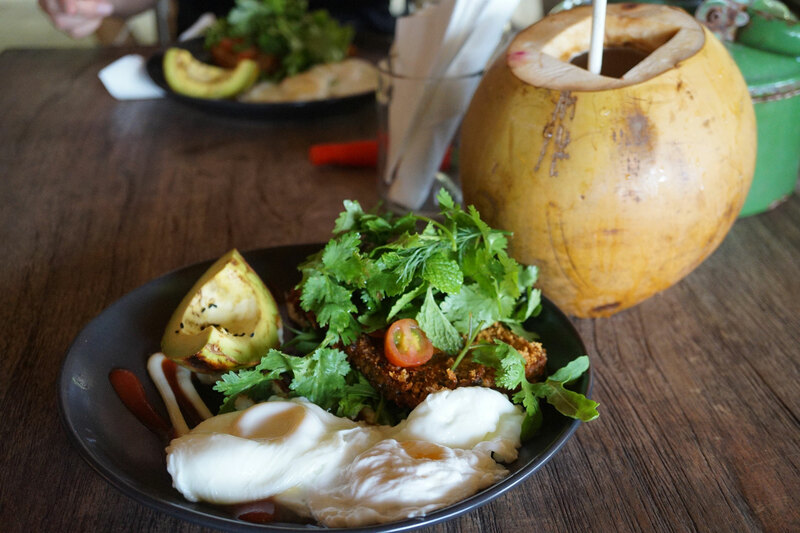 One of our favorite things to do in Sanur is to head to the beach to one of the beachfront restaurants, such as Lilla Pantai, Genius Café and Soul on the beach, who offer very tasty breakfast options. When in Bali you must join a yoga class. 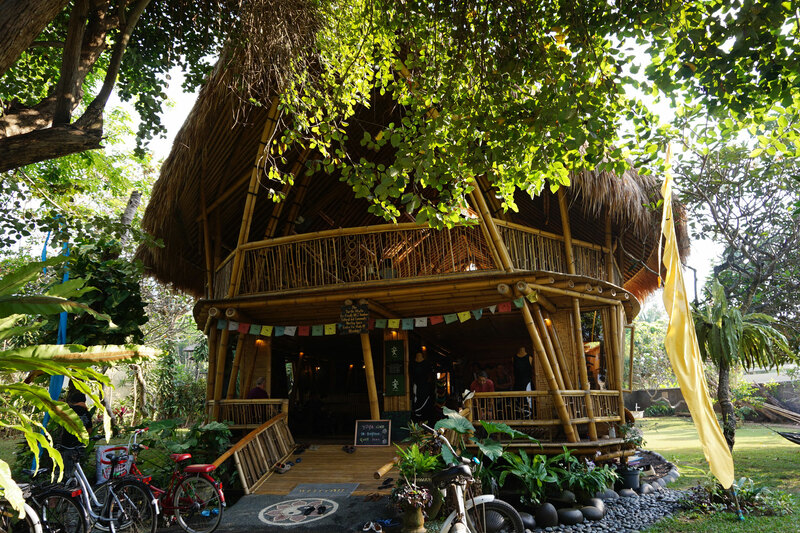 Many people who visit the magical Indonesian Island want to connect with themselves and relax, and what better way than to do so with an awesome yoga class in a bamboo hut on the beach? We recommend checking out the yoga school named “Oasis the Power of Now”. It’s at Mertasari beach next to the Mercure hotel. Especially on Saturdays and Sundays, locals head to the beach in the late afternoon to enjoy their beaches. Whole families can be found at the beach who always with a lot of curiosity check out the foreigners that visit their island. 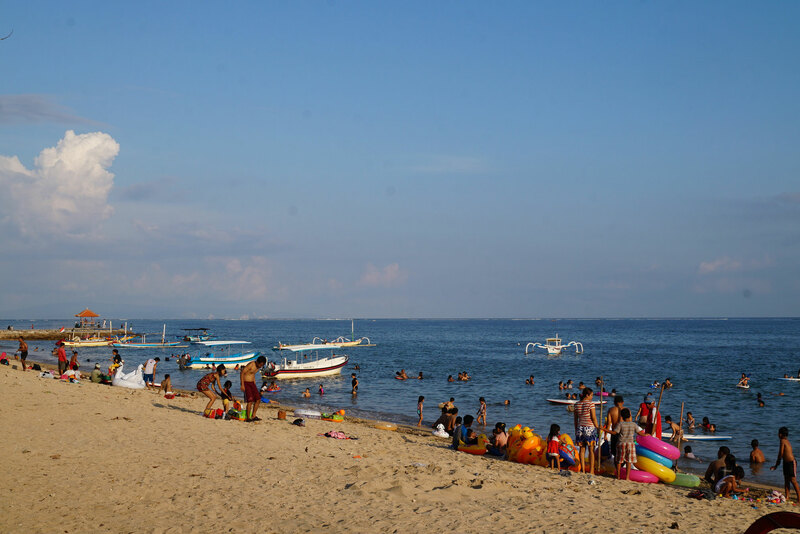 One of the cool things to do in Sanur is to head to the beach during this time for some local interaction. Most of the locals are super keen to have a little chat and of course a picture! Nusa Lembongan: if you’re into surfing and like easy beach vibes then this is the island you want to be visiting. 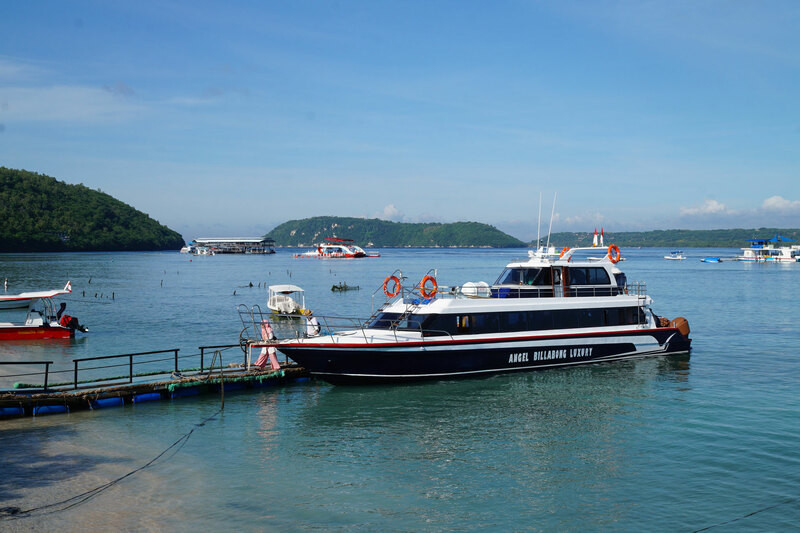 Ferries to Nusa Lembongan depart daily from Sanur. Make sure to visit Devil’s Tears and Dream Beach. Nusa Penida: a must visit when in Bali is the adventurous island Nusa Penida. Nusa penida lies just southeast from Bali and is the biggest of the three Nusa islands. Penida has an adventurous character with its jaw-dropping landscapes, magnificent beaches and steep hikes. Read our complete Nusa Penida guide. Gili Islands: if you consider visiting the Gili Islands we advise you to go a little longer than just one day. The fast boat will take you in about 2 hours to any of the three Gili islands which are perfect for either diving, party or just chilling out. If you’re a fan of kitesurfing, or if you simply want to learn to do this great sport: Sanur is the place to be. 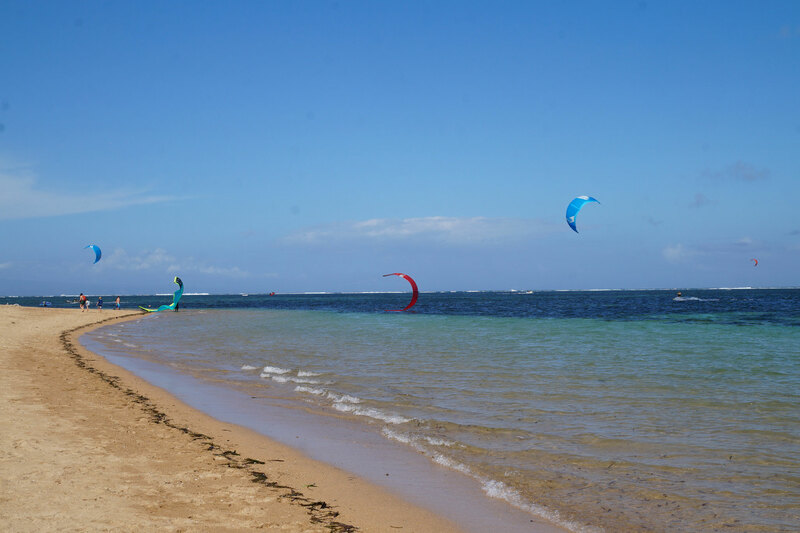 Sanur is the best place on the island for kitesurfing due to its flat lagoon. Usually, there is a very nice onshore breeze from May until September which makes the conditions perfect for both beginners and experienced kitesurfers. Mertasari Beach is the perfect location for kite surfing. There are a number of kitesurf schools where you can take lessons or rent equipment. 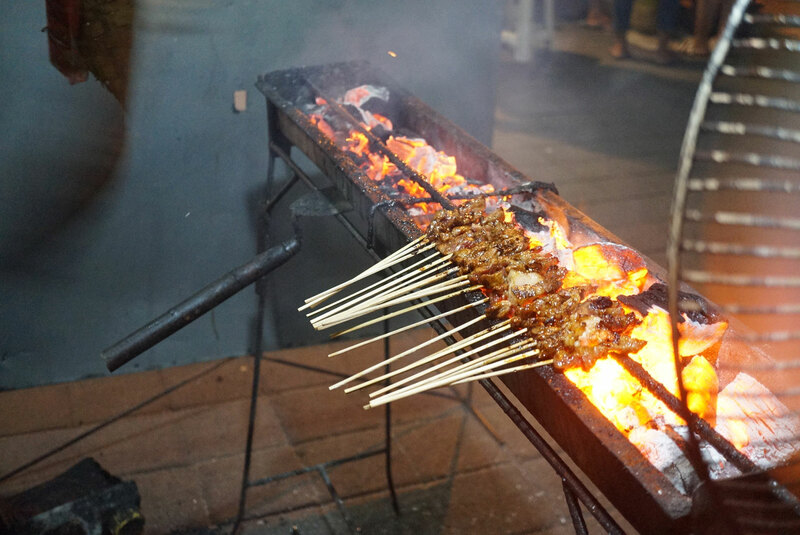 The Pasar Sindu Night Market is the best night market in Bali when it comes to delicious, affordable food. At the same time it’s also one of the most fun things to do in Sanur, Bali. With countless of local delights being prepared in front of your nose, such as lamb satays, bakso meatball soups, and nasi goreng, this is the place to go to when you’re feeling hungry. Prices for complete meals start at IDR 20.000 (2 AUD). The market lies in the center of Sanur, close to Mac Donalds, in a side street behind the main street. Most of the stalls open after sundown, at around 6pm. 8. Dive into the funderwaterzone! Dive schools are located all over Sanur. It’s the perfect spot to get your PADI open water or, if you are an experienced diver, go out on dive trips to the Nusa islands and the Shipwreck in Tulamben. Jeladi Wilis: a gentle dive site where you can spot interesting corals and colorful fish and other sea creatures. Channel Point: If you’re getting your PADI in Sanur you’ll most likely visit this spot due to its ideal place for dive training. It may not be the best place to dive, but it’s a nice place to do a refresher course or when you feel you need to get into diving again. Penjor Reef: In order to get to Penjor Reef you’ll just need to take a shore boat from Sanur, and you’ll be at your location in a matter of minutes. This reef is full of marine life and is totally worth it – even if you’re an experienced diver. 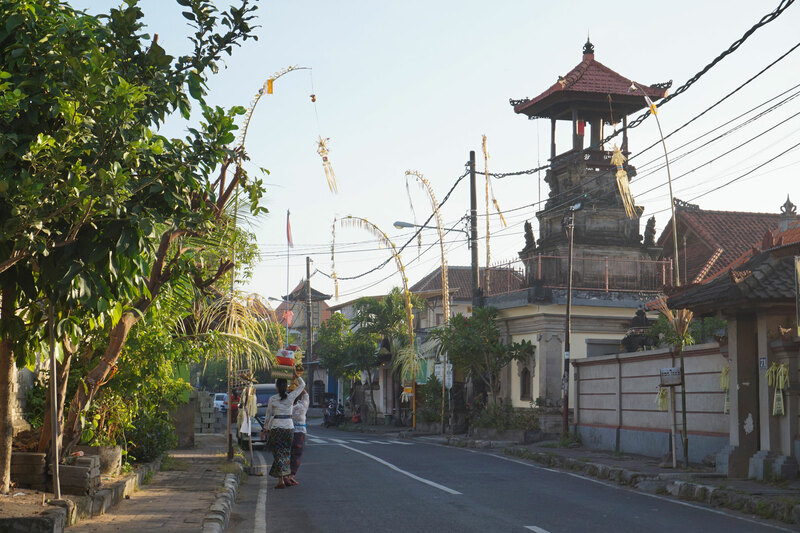 Being on the southeast of Bali, Sanur is the perfect base to explore all the other parts of the island. Sanur is known to be a little quieter than other towns such as Kuta, Legian, Canggu, and Seminyak. With less traffic, it’s super smooth and easy to get out there and explore the rice fields, Ubud and some awesome temples! Sanur is the perfect place to relax on the beach. There are no big waves breaking on the beach and the water is shallow. This combination makes it perfect for families, as small kids can go into the water by themselves, this is something that’s not possible in other parts of Bali due to big waves. Sanur has a nice laid-back vibe, the water has clear turquoise water, and the beaches are in many places wide with white sand. The traditional boats lined up on the beach and the gazebo’s that you’ll find everywhere on the piers are iconic for Sanur, Bali and make an awesome photo. 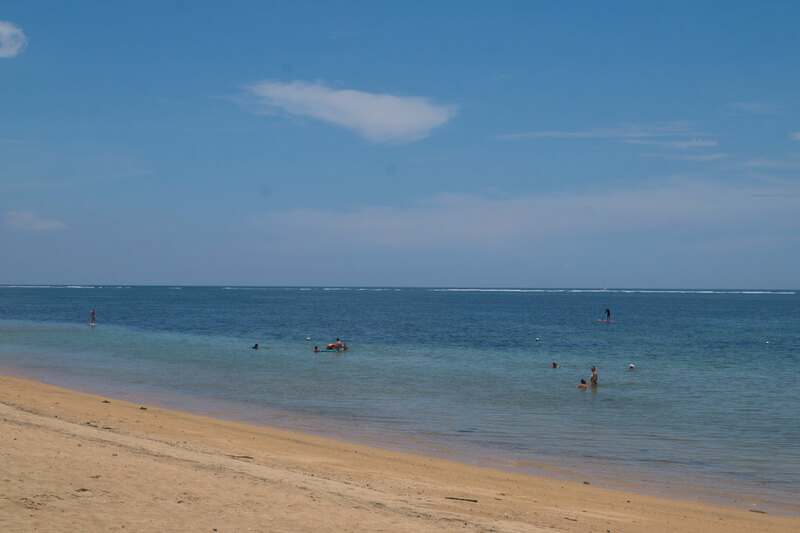 The waves in Sanur are far from the beach due to the shallow and protected waters. In order to get there, you can catch a traditional wooden boot to some pretty sweet surf breaks, such as Baby Reef, Sanur Reef or Hyatt Reef. We advise you to check the forecast before heading out as the Sanur surf spots need some serious swell in order to work. Is surfing not your thing? Sanur is perfect for flat water paddle boarding. There are no waves near the shore, the ocean is calm, and the water is warm and shallow making it the perfect destination for stand-up paddle fans. There are a number of SUP schools in Sanur where you can take beginner lessons or just rent a board and get out there. Did you know that you can even go for some SUP Yoga in Sanur? Being able to do yoga on a SUP board just shows how calm and relaxing the waters in Sanur are. 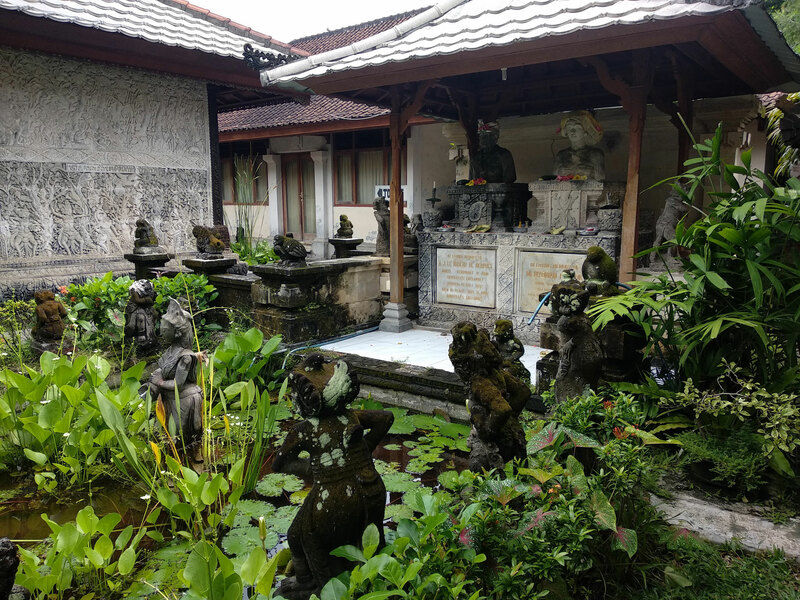 If you want to do something a little different, then we recommend you to visit the Le Mayeur museum in Sanur. The museum holds the works of the famous painter Adrien-Jean Le Mayeur de Merpres. Mayeur, originally from Belgium, arrived in Bali in 1932 and soon married the 15-year-old Balinese Ni Pollok. The paintings from his early period were mostly inspired by his beautiful wife, and thus often depicted romantic daily life sceneries and beautiful Balinese women. Entrance to the museum is IDR 50,000 and you’re not allowed to take pictures of the paintings. 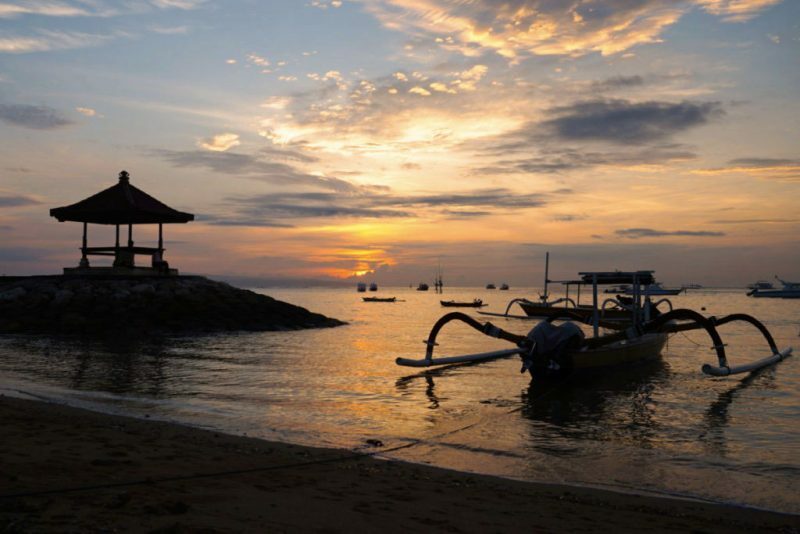 We’re closing the list with things to do in Sanur with a nice evening out. Sanur may be quiet, but you can still find some nice entertainment if you are looking for it. There are a few nice beachside bars such as Bamboo Bar from and the cozy bean bags on the beach at Genius cafe. 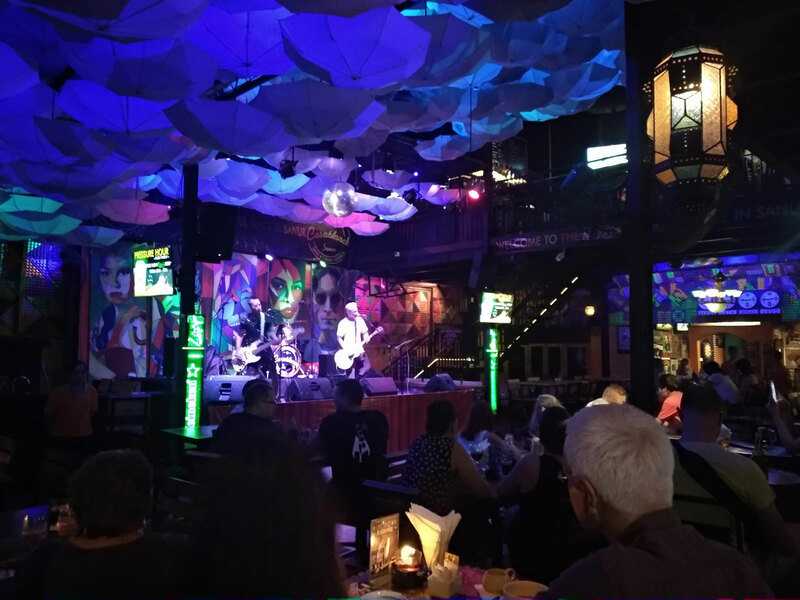 If you’re looking for a little more action than bars such as Lingalonga and Casablanca have some nice life music and entertainment in the evenings. Another nice pub/restaurant is the Fire Station which also regularly hosts events. More things to do in Sanur: a mystery dining experience! What’s travel without culinary highlights!? If you’re looking to explore some awesome restaurants and amazing food than a food tour is the answer! 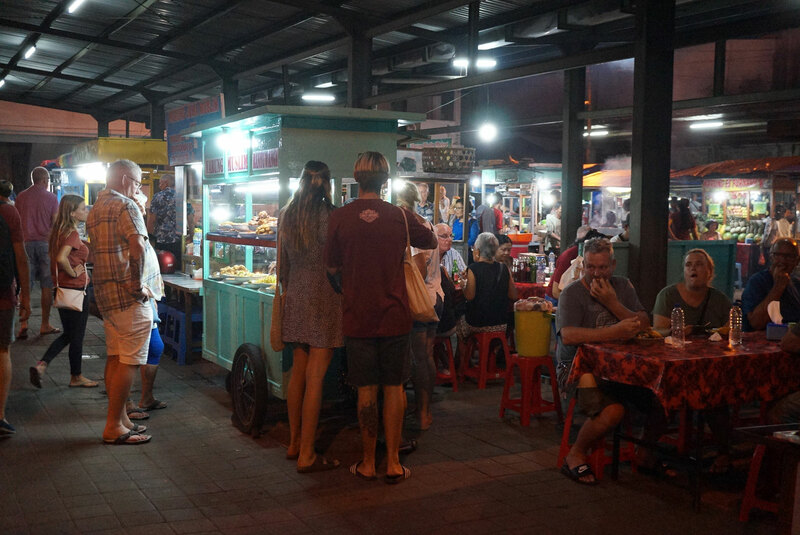 Although we don’t host our original mysterious dining tours in Sanur, we can easily pick you up for one of our food tours in Jimbaran, Seminyak or our awesome street food tour in Denpasar. Transport is included in our services which makes it super easy to explore the best restaurants Seminyak, our Jimabaran tours or try some street food Bali! 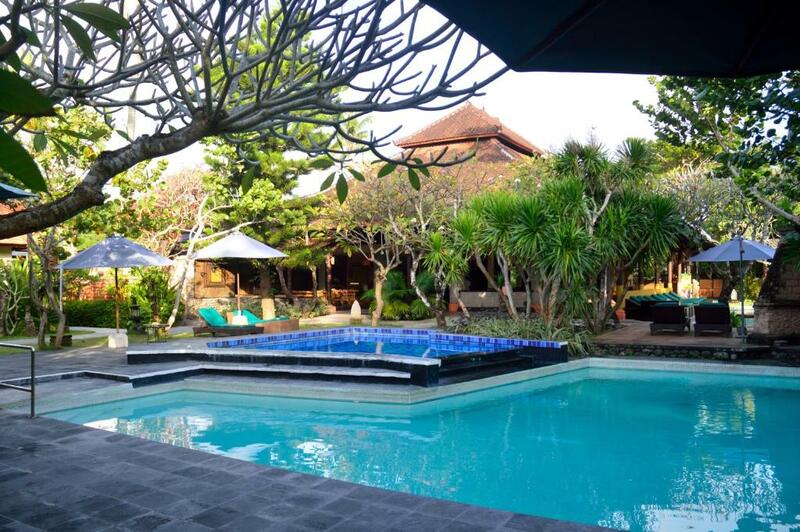 Where to stay in Sanur, Bali? 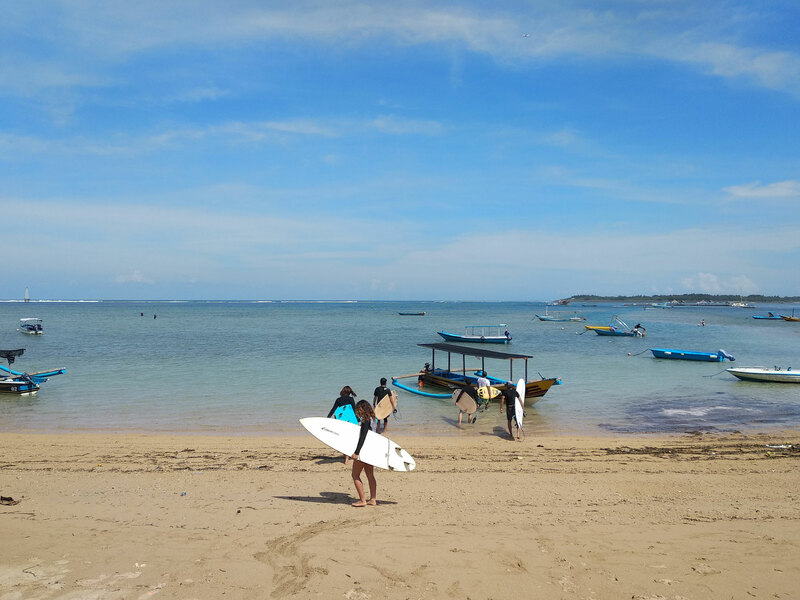 Besides a lot of cool things to do in Sanur, you’ll find heaps of fun hostels, cozy guesthouses and homestays, luxurious villas and beachfront resorts in Sanur, Bali. We have selected our three favorite options that will guarantee an awesome stay in this chilled out beach town. 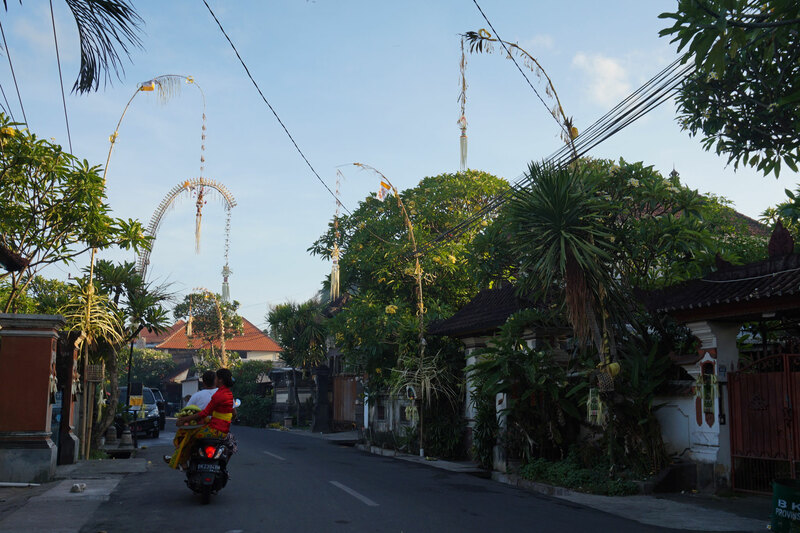 Staying in Sanur on a budget than Wayan Homestay Sanur is an excellent choice. The homestay is a short stroll away from Sindhu beach where you’ll find some nice beachfront restaurants. The night market is just around the corner and it’s easy to find a proper spa and souvenir shops. With only 4 bungalows it’s a small place and that’s exactly its charm. The staff is very welcoming and the rooms are comfortable. The Zen Villa’s are just awesome! Your own private plunge pool, gorgeous gardens, very peaceful spot, happy and friendly staff, the endless facilities and the serene ambiance make that you never want to leave. The villas are far enough from the hustle and bustle to have peace and quiet and are close enough to walk to it within 10 minutes. The minimum stay is three nights. Families and couples will love Peneeda view hotel. Het beachfront hotel has three swimming pools, awesome family rooms, and cozy bungalows. It’s one of the older hotels in Sanur and it has a lovely Balinese vibe to it. Peneeda view is not necessarily luxury but it’s definitely comfortable. 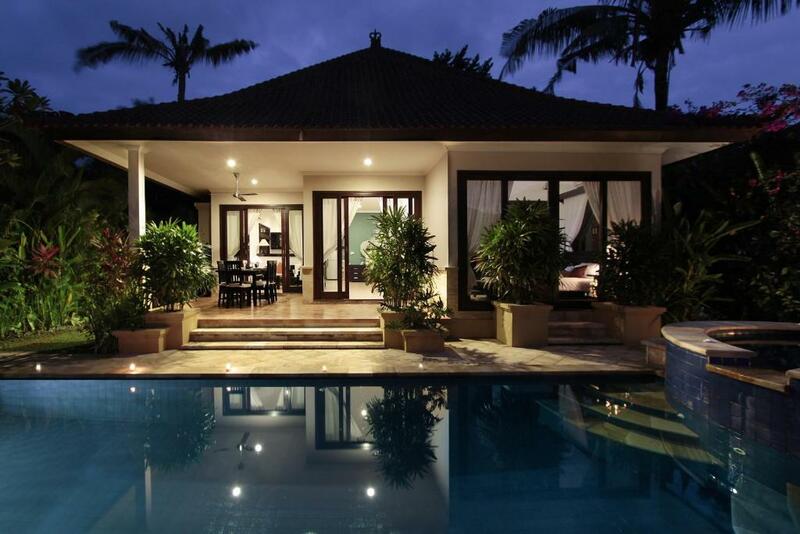 The price/quality level is outstanding and you’ll be sure to be back for your next Bali trip. Read our complete Bali travel guide to prepare yourself for your Bali holiday!